Should 'Snow Days' Matter Anymore? 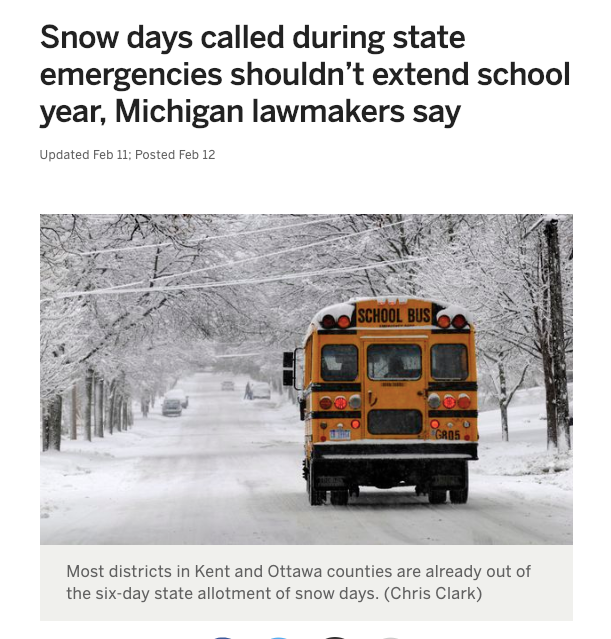 As I was reading this article (pictured right)​ on our local news site I couldn't help but think, "Should 'snow days' matter anymore?" Understandable is the 'bang for our buck' mentality of some taxpayers and legislators who believe 'money in' should be met with seat time expectations and days worked for teachers coming out of schools. In Michigan, we have to follow the 180 days in school and the 1098 hours of meeting time to get full funding from the state. There is also an issue closing schools in areas where homeless/poor students live in high numbers as often the only semblance of order and regular meals come from public schools. ​Mastery/Competency-based initiatives that would mean if students met expectations it should not matter how many days/hours they are sitting in schools? Learning would be a continuum of checkpoints regardless of age so who cares how many hours someone is in school as long as they are ready for a career/college? There is already a team of schools working on this in Michigan and maybe we just need to expand! Ubiquitous 1:1 devices including Wi-fi hot-spots (especially for our low-socioeconomic and rural districts) so student learning can be 'anytime, anyplace, any pace' and not affected by a few days away from direct instruction? 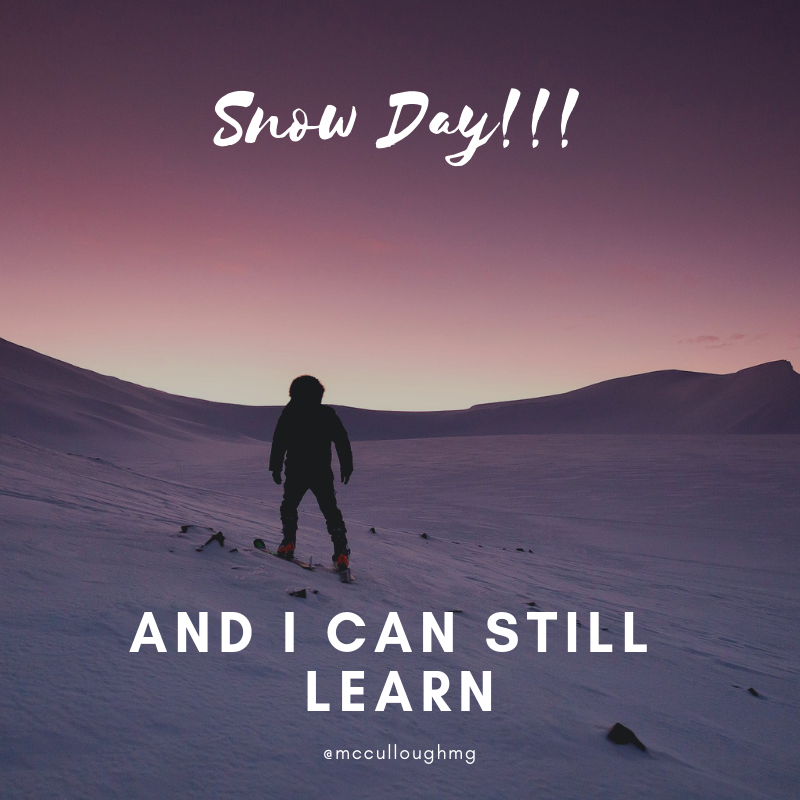 Well-crafted instruction, checks for understanding and projects/portfolios can be created online in engaging ways that would not have to stop due to a few inches of ice or snow. Enhanced teacher professional development so more of our best educators get their tools, lectures, lesson plans, and audio/video online in Open Educational Resources (OERs) so students and teachers can benefit regardless of time in a physical school or at physical meetings with each other? The best stuff should be in the hands of as many students and educational peers as possible so all students can learn at the best, again regardless of face-to-face time. Michigan has an OER hub in development which could be our go-to learning resource! Please don't mistake these wonderings as easy and/or replacements for teachers guiding student learning in a face-to-face environment as frequently as possible. Research proves that learning is a social activity and best done in tribes of learners with teachers facilitating Also, do not think that gradeless bands of learning targets are easy to arrive at en masse or ready to go yet in Michigan (though they are being worked on). Instead, I hope these wonderings are being batted about both in the hallowed halls of our MI Legislature as well as the newly occupied Governor's Quarters. We will soon have a new State Superintendent of Education and I hope these topics will be broached with prospective candidates before our leader is hired. I once wrote a blog on "What does your grade book communicate?" in hopes of starting a dialogue about transforming one's grading practices. One reader pushed back and wrote me an email stating, "well if all these ways are WRONG what SHOULD my grade book include smarty?!?!" (bold and caps NOT added for effect). Competency: "You are competent/proficient at this step and are ready for the next step of this skill at our level." Mastery: "You have mastered this set of skills and are ready for the next unit or group of skills." Standard Based Grades: "You are able to do this skill at "X" level and this means you can do "X" "X" and "X". Is there still room for growth? How?" Student input/reflection: "I have proof that I am an "X" at this skill. I think I need to do "X", "X" and "X" to get better." Success Skills: "Content skills aside, here is how you are doing at collaboration, communication, problem-solving etc. including a rubric of how to get better." Process: "You have chosen "X" and "X" to get better at "X". How is that going? Should you try a different schedule or tactic? Growth: "You started here 6 weeks ago and here are the improvements you have made on this skill so far. Congrats! What goal do you have next?" Portfolio/Artifacts: "Here is what level you are at each skill expected in this class. Click on your level to see what artifacts prove your understanding." Do you have other proof that your level is different? There is a piece of me that wishes that I went into computer science/coding so I could start making more of these grade book variables a reality. While there are many books and grading programs that claim to do some of these grading/communication techniques well I am yet to see the whole package. Schools and educators are on different points in their transformation from traditional grading though mastery/competency based grading yet need an electronic system that caters to their growth as much as their students. They also need the support of district leadership and communities to experiment, fail, recalibrate, and try again in the best interest of teaching and learning. Remember, there is no shame being anywhere along this continuum as you can't grow if you don't go through iterations of oneself in an attempt to get better! ​What did I miss? What SHOULD a grade book communicate? Recently I had the pleasure of presenting at the Michigan Department of Education, with Educational Technology Consultant Ann-Marie Mapes on the Michigan Integrated Technology Competencies for Students or "MITECS". We highlighted how these competencies are skill and not tool based. It is assumed students are familiar with many different technologies though they need support and facilitation in the use of these for communication, collaboration, computational thinking and design. For each of the MITECHS, I spotlighted a project we are doing at Schoolcraft Community Schools that integrates 1 or more of the MITECS in addition to core content. I am very excited to implement these even deeper into our Schoolcraft Standards and promoting the skill development of all Michigan students! I'd love to hear your feedback on the slidedeck below! "I'm sitting on the hill if you want to learn..."
I was cleaning up some old Gmail/Google Drive files and found this response to a student back in 2012. The student emailed me asking why they had lost credit for my class after missing "X" number of classes even though they did well in the class. I told them I'd fight for their grade and this was the end of my reply. * I wish I could have these deep conversations all the time with students! ​"...my vision for school would be to go back to Plato/Socrates were I just sit up on a hill and everyone who wants to learn would come to me and we'd chat and learn and engage in bettering everyone involved (plus society if it was lucky :) ). Your voice in learning is very important including what it takes for you and your peers to be successful. "Students aren't dumb, we know which teachers care about us and when we do and don't learn. Those teachers who try new things that stretch us beyond what we know of ourselves are the ones we remember and appreciate. Thank you." It amazes me how much more I have learned from my students than they have ever learned from me. ​​*If you wondered, we 'won' and this student earned what they proved they knew from summative assessments I had given and tracked throughout the semester in my own form of "Standards-Based Grading" at the time. “I was a U.S. history teacher who often was hitting WWI as the calendar flipped to April. During WWI, many troops took to writing to keep grounded and to release the extreme emotions of war. After studying the era of WWI a bit I created a lesson that would both allow students to experience the moving poetry of soldiers while showing their knowledge of trench warfare and the combatants experience through their own pieces. Click here to see this lesson. As you can see by the lesson my hope was to assess their speaking and listening skills as well as content vocabulary/knowledge. I found this assessment much more telling of their knowledge and skills than the traditional multiple-choice/essay tests I formally used for WWI. As a former soccer coach with children who have begun to play, I follow multiple websites and blogs on the game. I was surprised today to see that U.S. soccer has begun a new Bio-Banding initiative in an effort to level the playing field for players who mature at different rates. ​This basically means for some training sessions they will be grouping kids by physical maturity rates instead of their chronological age as before. As usual my day job as Director of Innovation in Teaching and Learning kicked in and made me think, "...if this can be done for athletics, can it be done for academics?" Any educator worth their salt knows that students mature at different rates both academically and socio-emotionally. Yet, our system still groups them chronologically due to tradition. U.S. soccer has begun to train students in 2-3 year 'maturity' slots, couldn't our educational system do the same thing? Wasn't this what happened in 1 room school houses to some extent? The U.S. Soccer High Performance department recognizes the Khamis-Roche method for banding these students, what would we use in education? If banding players helps both those who mature early (they continue to be challenged instead of being able to 'cruise' because they can use some gifts early) as well as those who mature later (they are able to develop their skills with similar athletes so they are not muscled out by early bloomers) why wouldn't we do this in our classrooms? Wouldn't it be nice to have all students regularly challenged at their appropriate level without differentiating 3-9 different ways in each classroom? Is this just standards/competency/mastery based education but for your body? 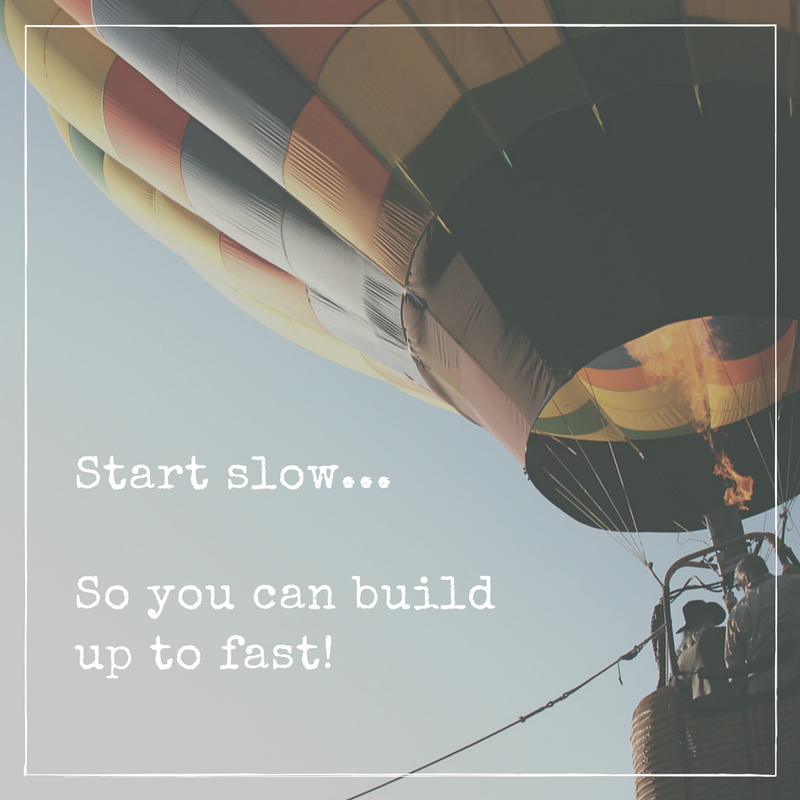 Would there be a deliberate manipulation of data to push kids higher/faster or would it be accepted as best for kids to start slow so they could move fast later? My mind is swimming...what do you think? Let’s face it, in nearly every case, the rule of human behavior is that we “do” what we “know”. Apply that rule to educators and what you have is applied practices with students based on the approaches used with these teachers in their youth. Or worse yet are the practices that administrators apply to them in current professional learning experiences. The focus; therefore, should be on what our educators and administrators currently “know” and “do”. Unfortunately, many in education "know" whole group professional development in which they march in stride with their peers in spite of their varied background knowledge. They also “know” identical evaluation systems regardless of their professional growth needs. The list of common, generic practices in education is unfortunately a lengthy one. In many cases, we are creating practitioners who treat groups of learners as single entities, as that is how they are being treated. As the district and building leaders, we must help educators to embrace varied ways to learn and assess based upon needs of the individual learner. School and district leaders must differentiate professional development days by providing choice and voice in ways educators can improve their personal practice. Administrators can also vary their evaluation approaches and goal setting by differentiating for individual teachers. In doing so, they model that there is indeed more than one way for an individual to attain and demonstrate proficiency in their skills and practices. Ultimately, if we want our students empowered to “do” things differently to achieve proficiency, we must ensure our educators “know” the power of individualized approaches in their own learning and achievement. By being bold and courageous enough to guarantee personalized approaches between administrators and their teachers, the culture of a building can shift to students knowing the same! Bold and courageous teaching and learning will occur when the adults of a building share a vision of how their own learned is taking place. Our systems will evolve to look like blended learning environments, master/competency based credits, flex based classwork/scheduling, student goal setting/tracking and project-based units of instruction. These uncommon practices dedicated to mastering skills will cause a shift in paradigms for students and adults. We cannot change behaviors in education without changing what we all know. To do better by students and allow them to be successful through personalization we must know a new approach to supporting our educators. If we believe all kids can learn and do so at different rates, we must honor this first by believing the same is true with the adults that work with them daily.